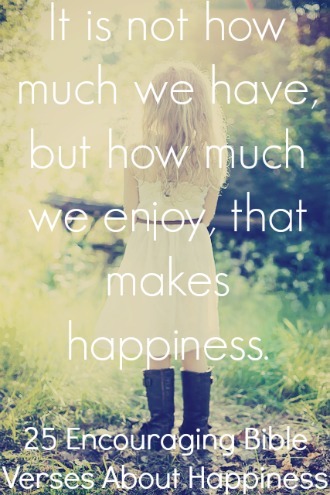 Have you ever wondered how are we able to be happy? Where does happiness come from? It is a gift from God. True happiness is only found in Jesus Christ. Nothing gives you an everlasting joy and happiness like Jesus Christ. Many people try to substitute Christ for other things to make them happy such as sin, works, ice-cream, hobbies, possessions, and more, but this joy only lasts for a moment. Then, you will go back feeling more miserable when you are done and when you are alone. We were not made to live without Christ. We need Christ and all we have is Christ. If you want happiness and joy you must trust and rest upon Him. It helps you keep your mind on the Lord. Being happy improves your health. It helps you interact with others and make more friends. Happiness helps every situation such as marriage, parenthood, work, stress, trials, etc. It leads to giving more to the poor and needy. Being happy makes you more content. I would like to start off by saying there is a difference between joy and happiness. Happiness is dependent on circumstances, but true joy and true happiness comes from our faith in Jesus Christ. Joy and true happiness is everlasting because the source of it is everlasting. 1. Philippians 4:11-13 Not that I speak from want, for I have learned to be content in whatever circumstances I am. I know how to get along with humble means, and I also know how to live in prosperity; in any and every circumstance I have learned the secret of being filled and going hungry, both of having abundance and suffering need. I can do all things through Him who strengthens me. 2. Philippians 4:19 And my God will meet all your needs according to the riches of his glory in Christ Jesus. Not only does a happy heart benefit you, but it benefits others as well. Who would you rather hang around with, someone who is always sad or someone who is always happy? Happiness is a very contagious thing and it makes more people happy. 3. Proverbs 15:13 A happy heart makes the face cheerful, but heartache crushes the spirit. 4. Proverbs 17:22 A cheerful heart brings good healing, but a crushed spirit dries up the bones. True happiness is achieved by resting upon the Lord. 5. Psalm 144:15 Happy is that people, that is in such a case: yea, happy is that people, whose God is the LORD. 6. Psalm 68:3 But the godly are happy; they rejoice before God and are overcome with joy. 7. Psalm 146:5 Happy is he that hath the God of Jacob for his help, whose hope is in the LORD his God. 8. Proverbs 16:20 He that handleth a matter wisely shall find good: and whoso trusteth in the LORD, happy is he. Don’t let your happiness and peace come from your performance on your walk of faith. You will be miserable. Allow your joy and peace to come from the finished work of Christ on the cross. 9. Hebrews 12:2 fixing our eyes on Jesus, the author and perfecter of faith, who for the joy set before Him endured the cross, despising the shame, and has sat down at the right hand of the throne of God. Are you searching for happiness in all the wrong places? Things will never give you true happiness. Stuff is killing us in this world. Things are only obstacles that get in the way of an eternal perspective. Some of the wealthiest people are some of the saddest. You might see them smiling in photos, but wait until they get alone. Things will never fill the loneliness in your heart. It will only keep you longing for more in your pursuit of happiness. 10. Proverbs 27:20 Just as Death and Destruction are never satisfied, so human desire is never satisfied. 11. 1 John 2:16-17 For all that is in the world, the lust of the flesh, and the lust of the eyes, and the pride of life, is not of the Father, but is of the world. And the world passeth away, and the lust thereof: but he that doeth the will of God abideth for ever. Unrepentant sin leads to depression and decreases happiness. You must come to repentance. 12. Proverbs 4:23 Keep thy heart with all diligence; for out of it are the issues of life. 13. Psalm 32:3-5 When I kept silence, my bones waxed old through my roaring all the day long. For day and night thy hand was heavy upon me: my moisture is turned into the drought of summer. I acknowledge my sin unto thee, and mine iniquity have I not hid. I said, I will confess my transgressions unto the Lord; and thou forgavest the iniquity of my sin. What are you feeding your mind? Negative things decrease your happiness as well. 14. Philippians 4:8-9 Finally, brethren, whatever is true, whatever is honorable, whatever is right, whatever is pure, whatever is lovely, whatever is of good repute, if there is any excellence and if anything worthy of praise, dwell on these things. The things you have learned and received and heard and seen in me, practice these things, and the God of peace will be with you. Read God’s Word daily: Wisdom and fear of the Lord brings happiness. 15. Proverbs 3:17-18 She will guide you down delightful paths; all her ways are satisfying. Wisdom is a tree of life to those who embrace her; happy are those who hold her tightly. 16. Psalm 128:1-2 A Song of Ascents. How blessed is everyone who fears the LORD, Who walks in His ways. When you shall eat of the fruit of your hands, You will be happy and it will be well with you. Jesus is the answer. Go to Him. We must pray for true happiness in Christ daily. When you put your trust in the Lord you will have peace and joy in the trials. 19. Proverbs 31:25 She is clothed with strength and dignity, and she laughs without fear of the future. 20. Psalm 9:9-12 The LORD is a refuge for the oppressed, a stronghold in times of trouble. Those who know your name trust in you, for you, LORD, have never forsaken those who seek you. Sing the praises of the LORD, enthroned in Zion; proclaim among the nations what he has done. 21. Isaiah 26:3-4 You will keep in perfect peace those whose minds are steadfast, because they trust in you. Trust in the LORD forever, for the LORD, the LORD himself, is the Rock eternal. We are called to enjoy life in the present. It is a gift from the Lord. 22. Ecclesiastes 3:12-13 I know that there is nothing better for people than to be happy and to do good while they live. That each of them may eat and drink, and find satisfaction in all their toil–this is the gift of God. When you are happy what do you do? Every single time that I’m happy I give God praise because I know it is only possible because of Him. Always give God glory for every piece of happiness and give Him the glory when you are feeling down. God will refuel your joy. 23. James 5:13 Is anyone among you in trouble? Let them pray. Is anyone happy? Let them sing songs of praise. 24. Ecclesiastes 7:14 When times are good, be happy; but when times are bad, consider this: God has made the one as well as the other. Therefore, no one can discover anything about their future. 25. 1 Corinthians 10:31 So whether you eat or drink or whatever you do, do it all for the glory of God.